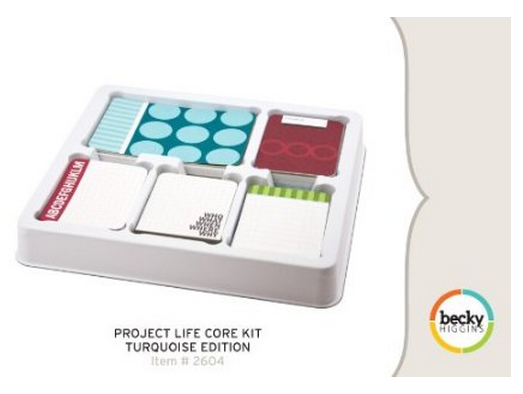 Obsessed with Scrapbooking: Becky Higgins Project Life Core Kits Now available! 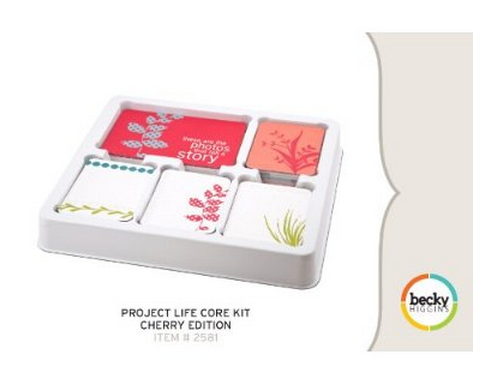 Becky Higgins Project Life Core Kits Now available! 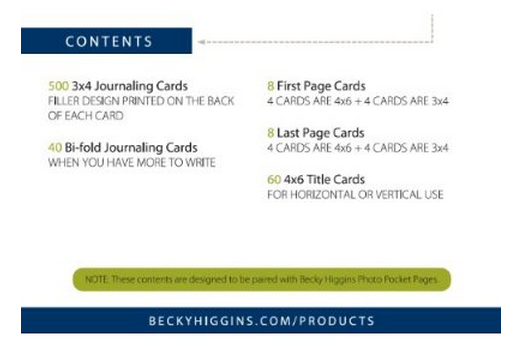 For those of you who love the Becky Higgins Project Life notion (a photo a day with weekly journaling), her Core kits are now available at amazon.com (links below to the different colored kits). These sell for $24.99 with free prime membership shipping. They will sell out quickly and have been known to take a long time to get back in stock so don't hesitate if you are at all interested. 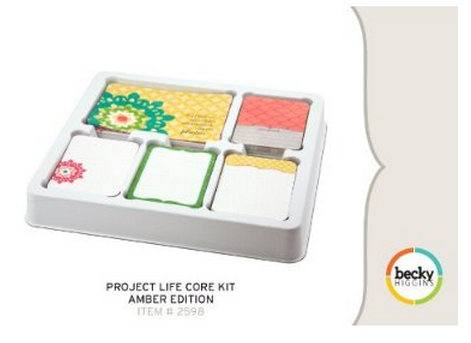 I have not taken on Project Life but I wonder if any of you have. This kit is highly recommended by those who do Project Life as it has all the components to put an album together quickly and easily in the divided page protectors (sold separately from the kits above). Of course, you could start Project Life at any time of the year and do it for any duration you chose. I bet any album of any length of time would be interesting. Ali Edwards used to have a class called "week in the life" where you took photos and collected memorabilia for the week (receipts, tickets, etc.) and it was a very cool concept to capture a time and place. Links above are affiliate amazon links, fyi. yep bought mine when it first went live !!! Ive been doing PL for about 9 weeks now and LOVE it !! Im doing an album just for ME ! since all the other albums have been for the kids ☺ I also use ALOT of the journal cards from Echo park they are sooo awesome !! 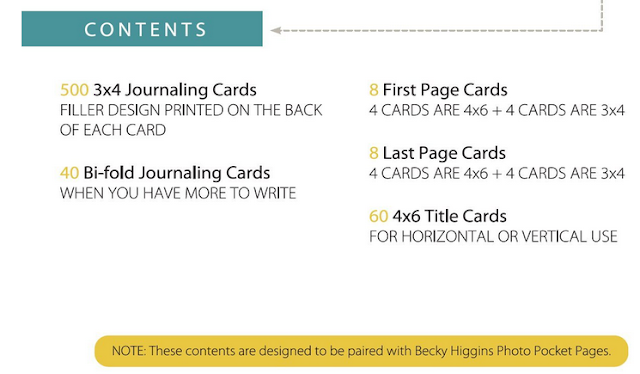 Since January, I've been doing a monthly Project Life using the Simple Stories Year-o-graphy collection. So far, so good. 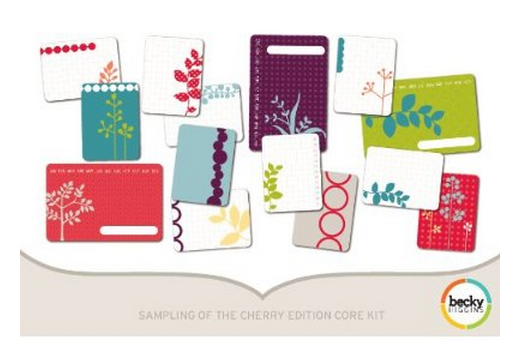 Maybe next year, I'll try a weekly system with one of these kits. Those look great. I will have to check them out. Thanks for the tip. 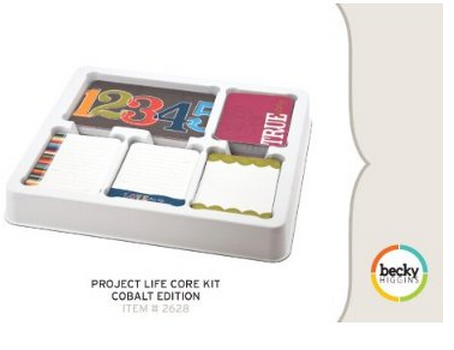 I haven't done a Project Life yet, maybe I'll start with something small like Project Monthly. I started one on my own after I missed out on her first kit back. I only did 3 months, but it was fun. Look back on those pictures (2009) and laugh at some of them. My life a changed so much since then so it will be fun to start again. 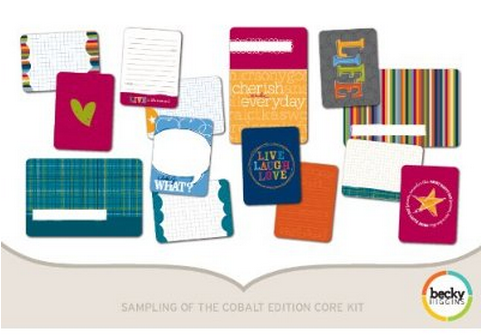 I ordered the cobalt kit. 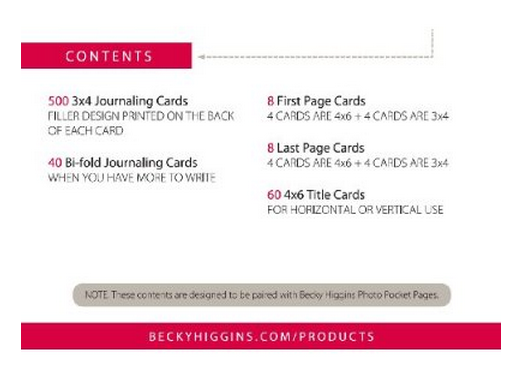 I use small albums that M's used to sell in set of 2 with a beautiful ribbon around them. Need to dig them out to use again. 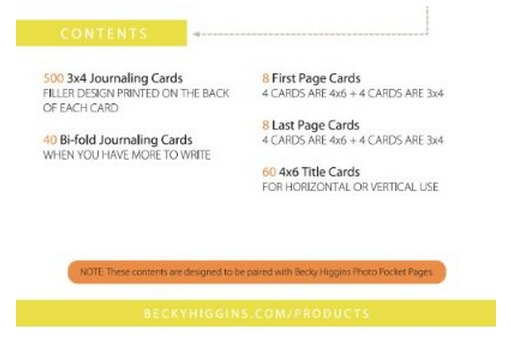 I started Project Life a few weeks ago with my own supplies, and I've been stalking Becky Higgins FB page for the new products. As soon as she announced they were up last night, I ordered the Cherry edition. I'm so far behind in scrapbooking, so I'm using PL for the present, and using old photos for traditional scrapbooking, whenever I get the urge. Love it! These kore kits are great! 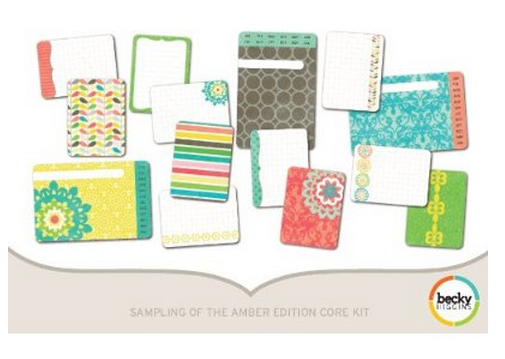 love the amber and cherry ones!! Happy Birthday Cricut, and her's to several more years of success :} Suzan B.